Calostemma is a small genus from Australia in the Amaryllidaceae family. 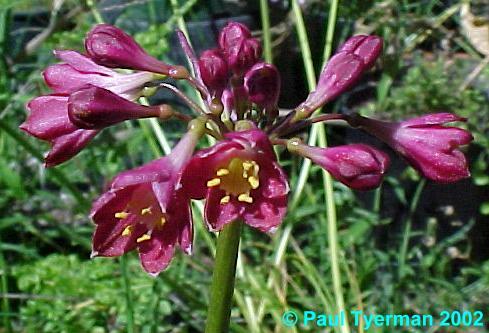 Some people believe that Calostemma luteum is not a separate species and is a form of Calostemma purpureum. Both bloom January to April in the wild. 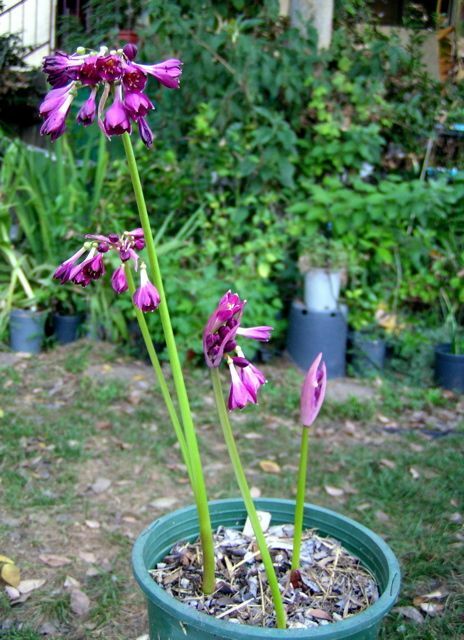 Seeds germinate on the plants and should be sown in a well-drained mix, placed in a warm spot and protected from snails and slugs. 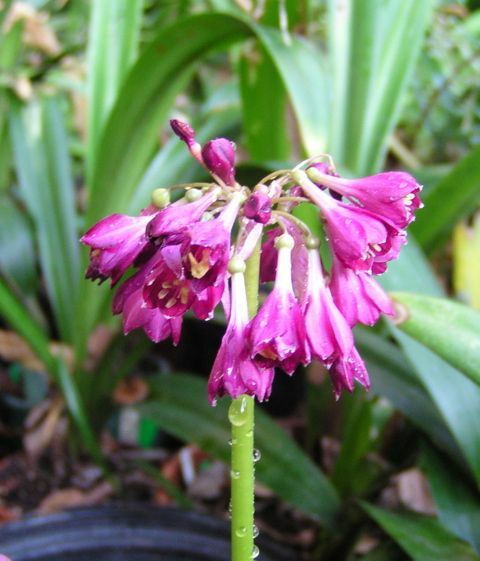 It flowers best after dry periods so should be allowed to dry off after the leaves yellow. Growth is improved by the application of slow released fertilizer. 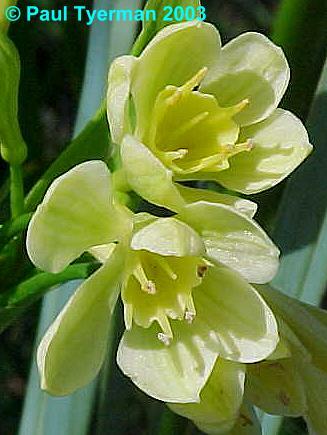 Calostemma luteum, a larger plant in almost all parts, is yellow flowered and found in deep clays on floodplains. This picture was taken by Paul Tyerman and is of a yellow flowered form he saw at the National Botanic Gardens in Canberra. 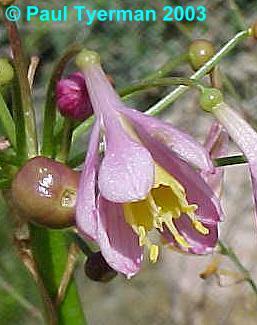 Calostemma purpureum is purple flowered and found on ridges in the southern and western parts of the range. 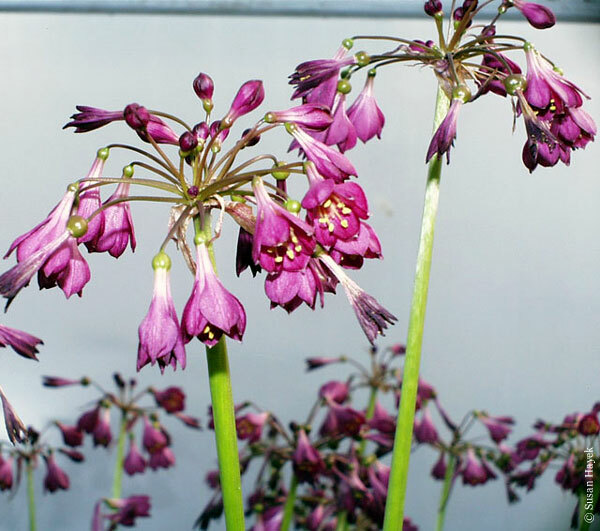 The first photo was taken by Paul Tyerman of one of the typical purple form flowering in his garden. The second photo was taken by Susan Hayek for Diana Chapman, and the last two were taken by Lee Poulsen. 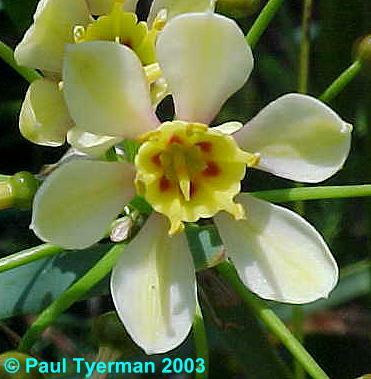 Lee reports that this species grows very well for him in Southern California. The flowers just pop up out of the bare soil and surprise the gardener. 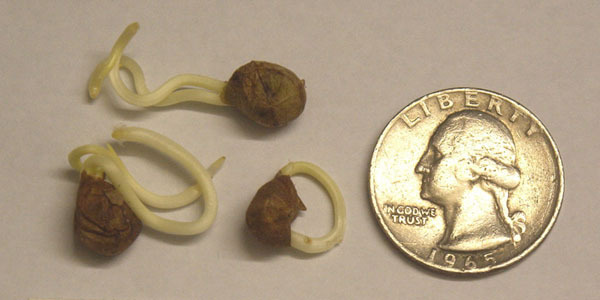 Germinating seeds are shown next to a U.S. 25 cent piece (2.5 cm wide) for scale by Jacob Uluwehi Knecht. 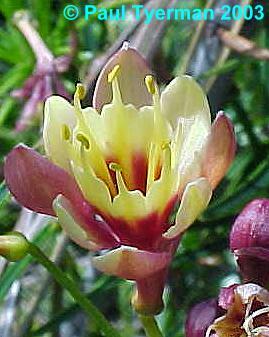 Paul found interesting colour forms in the National Botanic Gardens in Canberra flowering in March 2003. One clump they had was creamy yellow and two different shades of bicoloured red/cream. 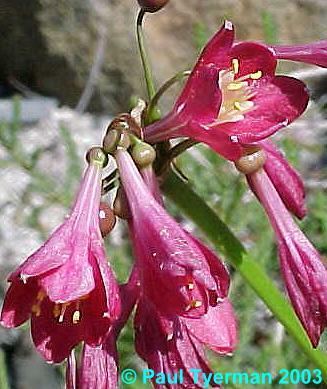 Another clump was pink with a yellow throat, and further along the path was a dark red one. Below are pictures he took of some of the ones he saw.